So you want to catch ‘em all. Here’s the definitive list the Pokémon that will give you the most trouble and what regions and biomes each one spawns in to help you obtain them. Tenth place is a tie between the three Johto starters. While each of these can be found in their respected biomes, they’re among the rarest that spawn in each biome. Feraligatr tends to spawn near bodies of water. Look for it where Magikarp, Psyduck, and Poliwag are common. Meganium spawns in grassy biomes so look for it in areas where Oddish, Bellsprout, and Sunkern are common. Cyndaquil likes desert biomes and can be found where Geodude, Growlithe, and Diglett are common. Heracross is one of two regional exclusives released with generation 2. As such, Heracross can only be found in South America and Mexico. Heracross can be found in the United States, but only at the southern tips of Florida and Texas. That said, if you do happen to live in an area where Heracross can be found, it’s actually quite common. 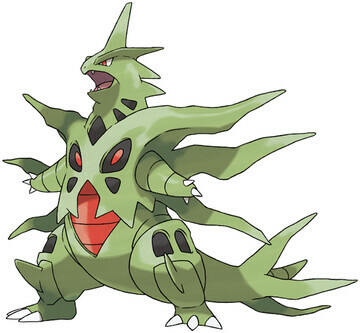 Tyranitar and its evolutionary family can be spotted in mountain biomes where Clefairy and Zubat are common. 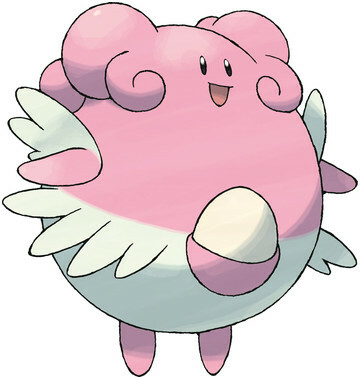 Blissey as well as its previous evolutionary stage, Chansey, can also be found in mountain biomes. It’s not entirely clear yet which biomes this electric sheep Pokémon and its family prefer, but our best guess is mountain biomes. Scizor can’t be caught in the wild, however, its pre-evolution Scyther can be found in grass biomes. Scizor is incredibly hard to obtain, first, because Scyther is extremely rare on its own and it takes 50 candies to evolve and, second, because evolution also requires the item Metal Coat. Evolution items like Metal Coat are dropped from PokéStops, but only very rarely. The best way to obtain a Metal Coat is to spin at least one PokéStop per day in order to build up your streak to get more items. Still, this doesn’t guarantee any evolution item at all and it could be a very long time until you are able to obtain the Metal Coat you need. Like Scizor, Steelix cannot be caught in the wild and its pre-evolution Onyx is one of the rarest spawns in desert biomes. It also requires 50 candies and a Metal Coat to evolve. Corsola is the second regional exclusive released in generation 2. It can only be found near the equator—about as far north as Texas and as far South as the Northern tip of Brazil. Its territory stretches the entire circumference of the world. Unlike Heracross, Corsola is still pretty uncommon in its territory and can be quite difficult to obtain. Porygon 2 is another Pokémon that cannot be found in the wild. It can be evolved with 50 candies and its unique evolution item—Upgrade. The pre-evolution, Porygon, can be found in the wild, but unlike other Pokémon, it doesn’t seem to appear in relation to any specific biome so getting your hands on one is 100% luck. This elusive Pokémon is aptly named as not much is known about it. It is known that Unown cannot be hatched from an egg, so it has to be caught in the wild. It seems that Unown only spawns in very specific areas, though no one has discovered the connection between these locations. On top of that, there are actually 28 different varieties of Unown that can be obtained making each variety the rarest Pokémon in Pokémon GO that can be obtained.